Release Date:01/04/2019;Notes:This album is made up of selected live and radio broadcasts with the Danish Radio Big Band and Swedish, British and Danish/American small groups during 1964-71. 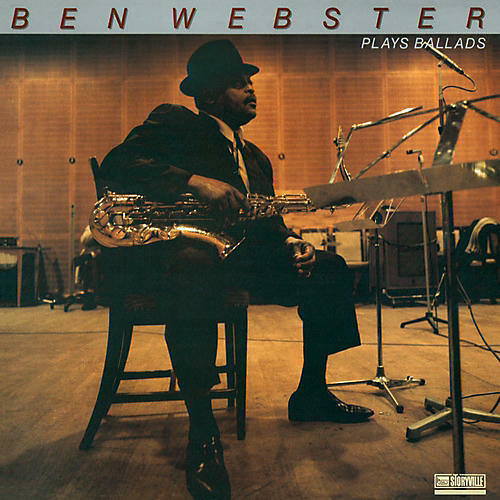 As the title indicates only ballads are included on the album, and, for the first time on a Ben Webster ballad album, there is no string-section accompaniment. Three of the ten numbers were previously unreleased before the original issue of this album. The art of ballad-playing was all-important to Ben Webster. He once said "Remember, there are only three tempi in jazz - slow, medium and slow!" While all the tunes are ballads, the wide variety and constellations give a wonderful, multi-faceted sound-picture of Ben Webster.